We may offer bonuses and special offers from time to time (including but not limited to bonuses, Tournament Tickets, Free Play, free spins and Jackpot Vouchers) which are subject to this Bonus Policy, the User Agreement , and any promotion-specific terms and conditions made available to you (“Promotion Terms”). In the event of a conflict between the terms set in the Bonus Policy, the User Agreement and/or the Promotion Terms (to the extent that the terms apply to a bonus or special offer), the following order of priority shall apply: (i) Promotion Terms; (ii) Bonus Policy; (iii) User Agreement. The 888poker Withdrawal Policy contains more information on how to withdraw funds. All bonuses are subject to points accumulation requirements, which are requirements that require you to accumulate a certain number of Bonus Points (by making wagers totaling a particular value) in order to be able to withdraw bonus funds and any winnings associated with those funds. Bonus Points are only accumulated whilst you have an active bonus. playing in poker ring games - for every $1 of your “contributed rake” you will earn 2 Bonus Points. “Contributed rake” refers to how much rake you are directly responsible for, based on how much you contributed to the raked pot relative to the other players at the table. For example, if you contribute $25 of a $100 pot (25%) and a $4.00 rake is taken from the table, you contributed $1.00 of the rake (25%). 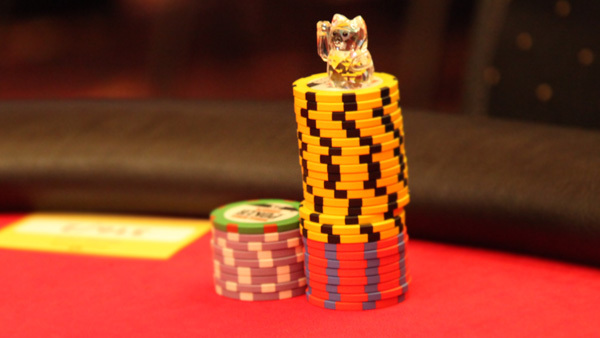 playing poker tournaments - for every $1 spent on tournament fees you will earn 2 Bonus Points. playing casino games (from your poker account) – for every $10 wagered in the casino you will earn 1 Bonus Point. Unless stated otherwise in the applicable Promotion Terms, immediate (non-pending) bonuses may only be withdrawn after a player has collected 2.5 Bonus Points for every $1 of the received bonus amount. For example, a player must accumulate 25 Bonus Points before withdrawing a bonus totaling $10. When the applicable bonus point requirements have been met, the bonus and any winnings derived from the bonus will be available for withdrawal. Unless stated otherwise in the applicable Promotion Terms, all bonuses (and any associated winnings) expire within 30 days of the bonus being granted. This means that you must complete the applicable bonus point requirements within 30 days of being granted the bonus, otherwise you will forfeit the bonus and any winnings associated with the bonus. If you attempt to withdraw any funds from your account and any bonus point requirements for a bonus have not yet been completed, the applicable bonus (and associated winnings) will be cancelled upon cashout. We may withdraw, revoke or amend any promotion at any time for any reason. If we do so, any bonuses that you have been granted prior to this will still be valid in accordance with the terms that applied at the time of their grant. Any winnings derived from the use of bonus funds, whether in whole or in part, shall be paid as follows: (i) a payment to the player's real bankroll up to the bet amount that was funded from real money; (ii) a payment to the player's 'bonus wallet' up to the original bonus amount used to fund the bet or up to the amount that was in the player's 'bonus wallet' prior to funding the bet, whichever is greater; and (iii) a payment of remaining winnings to the player's real bankroll if associated with poker games or to the 'bonus wallet' if the general bonus was played in casino games. 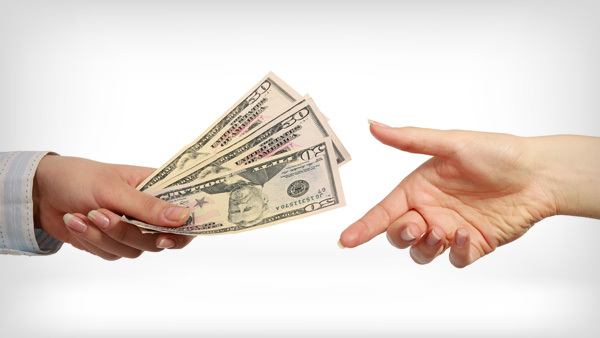 Your account is made up of both Available Funds and Restricted Funds. Your Restricted Funds are the total of bonus funds that have not yet met the bonus point requirements and any winnings associated with such bonus funds. Your Available Funds are those funds that you have deposited and any winnings derived from such funds as well as any bonus funds that have met the applicable bonus point requirements. Available Funds can be: (i) used in any applicable game; or (ii) withdrawn at any time in accordance with the Withdrawal Policy. If you have both Available Funds and Restricted Funds in your account, the next wager you make will use Restricted Funds first. Available funds will only be used once your Restricted Funds balance is zero. If you place a wager on casino games using Restricted Funds only and win you will receive, depending on your chosen account currency, up to a maximum of $500/€500/£500 in winnings. If your winnings exceed $500/€500/£500 you will only receive $500/€500/£500. Please note, that if you do not log in to your account for a period of 90 days, your 888poker Club Points and/or Bonus Points, if any, shall be forfeited without further notice. If you have a pending message on the website's cashier regarding your recent gaming activity, we reserve the right to revoke your eligibility to participate and/or continue to participate in any promotion. In such an event, any bonus and/or other benefit which you have received and/or are eligible to receive under any such promotion, shall be forfeited by you. If you wager $500 on Video Slots, the entire $500 (100%) contributes towards the bonus point requirements and you shall receive 50 bonus points. If you wager $500 on Roulette, $100 (20%) contributes towards the bonus point requirements and you shall receive 10 bonus points. Low-risk wagering, such as betting on red/black in equal amounts in roulette, will not constitute a valid wager for the purposes of meeting the wagering requirements. Terms and Conditions in relation to Tournament Tickets (“TrT(s)”). We may at any time change the tournaments for which a Tournament Ticket may be used. A Tournament Ticket is worth a fixed value and may only be used in tournaments that have a buy-in equal to the value of the Tournament Ticket. For the avoidance of doubt, unless stated in the applicable Promotion Terms, Tournament Tickets may not be used as a buy-in for a tournament where the buy-in is less than the value of a Tournament Ticket. Tournament Tickets may not be: (i) exchanged or converted into cash; (ii) combined to create a higher value ticket; or (iii) transferred by a player to another player. Each Tournament Ticket is granted with an expiry date. If a Tournament Ticket is granted as part of a promotion it will expire on the earlier of: (i) termination or expiration of such promotion or (ii) the expiry date of the Tournament Ticket. Once a Tournament Ticket has expired or the promotion has ended a player shall immediately forfeit the applicable Tournament Ticket. In the event that a Tournament Ticket is granted by us for any tournament which is cancelled prior to it starting, unless otherwise stated in the applicable Promotion Terms, the Tournament Ticket will not expire or terminate but may be used by a player in another tournament of our choosing. 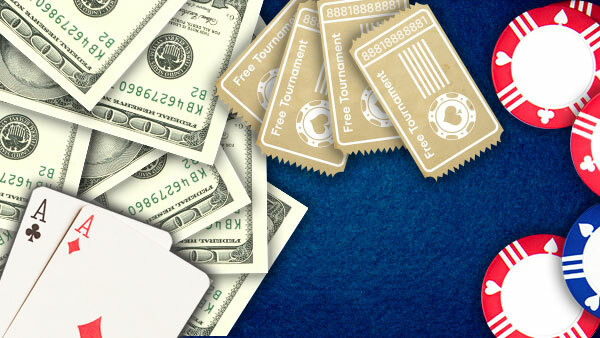 In the event that a Tournament Ticket is used in any tournament which is then cancelled by us after it begins, unless otherwise stated in the applicable Promotion Terms, any compensation will be identical to that of players who have registered for such tournament using cash from their bankroll. All free spins and FreePlay credited to a player's account expire after 14 days. Unused free spins and FreePlay will be removed from the account after this period. Winnings derived from free spins and FreePlay are bonus funds and are subject to the terms set out above that apply to all bonuses (including, for the avoidance of doubt, the bonus point requirements). Winnings derived from free spins and FreePlay are capped, as set out in the Promotion Terms. We may at any time change the jackpot game for which a jackpot voucher may be used. Jackpot vouchers may not be: (i) exchanged or converted into cash; (ii) combined to create a higher value jackpot voucher; or (iii) transferred by a player to another player. All jackpot vouchers credited to a player's account expired on the earlier of: (i) 14 days from being granted; or (ii) the expiry date is set out in the applicable Promotion Terms. Any jackpot voucher not used by the end of this period will be removed from the player’s account. Players using a jackpot voucher to play on a jackpot game, will only be entitled to win and receive the jackpot prize and not any other amount in relation to the jackpot game. The jackpot prize won with a jackpot voucher will not be subject to any bonus point requirements. All jackpot winnings will be subject to the provisions set out in the User Agreement, including but not limited to those relating to Jackpot Winnings and verification of a player's win.